WCPE Episode 193 – Live from Planet Comicon 2018 – WORST. COMIC. PODCAST. EVER! What a weekend! The guys from the Worst. Comic. Podcast. EVER! stayed busy all weekend long at Planet Comicon. 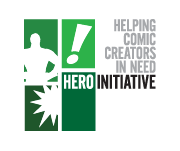 We hosted some comic panels, raised some funds for the Hero Initiative, had some BBQ, crashed a party or two, found some comics… did we do anything else? OH YEAH, WE HOSTED ANOTHER LIVE PANEL AT PLANET COMICON! All three of us on stage together, making jokes, telling stories, and answering questions. So sit back and give the show a listen. Pretend you are sitting in the audience. Sorry, we can’t give out any prizes over the podcast airwaves, so consider this episode your gift. As always, a big thank you to the Chris Jackson and the Planet Comicon crew for putting on one of the best shows in the country. We are already making our plans for March 2019! ‹ WCPE Episode 192 – Countdown to Planet Comicon! Tags: Live, Planet Comicon, Worst Comic Podcast EVER!